For my first trip back to Paris in six long years, I planned every detail ahead of time. Believe me, "type A" doesn't even begin to characterize the lists I made and pre-planned outfits I brought. I flew to Paris a month ago with absolutely zero plans. I didn't have a place to stay until the day before. I packed in a panicked frenzy (don't even ask how many bags I checked) and arrived at Charles de Gaulle without a single skincare product to my name. I'll wing it, I thought to myself, fantasizing about the French pharmacies on every corner and the natural glow of muses like Jeanne Damas, Louise Follain, and Lou Doillon. I arrived at my Airbnb in the Marais and muscled my bags up the tiny staircase to my (adorable) apartment. I breathed a sigh of relief when I opened up the door to find a quintessentially Parisian setup, complete with a balcony and huge white windows. I made it, I said out loud, to no one, and poured myself a glass of wine. Within minutes, I was in full planning mode. What I lacked in strategy leading up to my trip I made up for in determination at that very moment. I searched for quotes about the most ubiquitous French drugstore products—the ones all Parisian models and celebrities tout as necessities—and made a list in my phone. I poured myself another glass of wine, vowing to hit the pavement after a few more sips. Eight hours later, I woke up (jet-lagged) and stepped out for a croissant and noisette, ready to take on the day and purchase a few life-changing products. My disposition was as sunny as the weather—I was in Paris, after all—as I strolled down the street toward the nearest pharmacy. But the need to wash my face was real. I walked into what I can only describe as a wonderland of French goodness. It smelled faintly of fresh laundry as I wandered from aisle to aisle perusing the goods. I stopped when I came across the first product on my list. 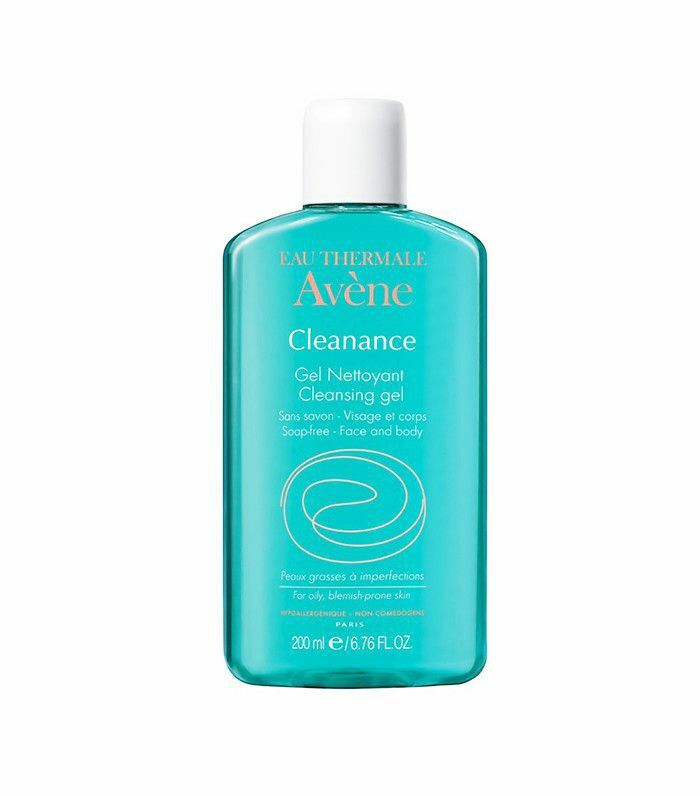 "Once in a while, if I had a long day or wore a lot of makeup, I clean my face with Avène Cleanance Gel Soapless Cleanser ($20)," Louise Follain told us in an interview. I figured my seven-plus hours of travel qualified as a "long day" and popped the soap-free cleanser into my shopping bag. The gentle formula is made with French thermal spring water and purifies your skin without aggravating it. Double points for the fact that it's both a face and body cleanser—because I brought neither. "Micellar water is especially popular in France because of the notoriously hard water in Paris, which can be extremely harsh on the skin," notes Beverly Hills dermatologist Debra Luftman, MD. 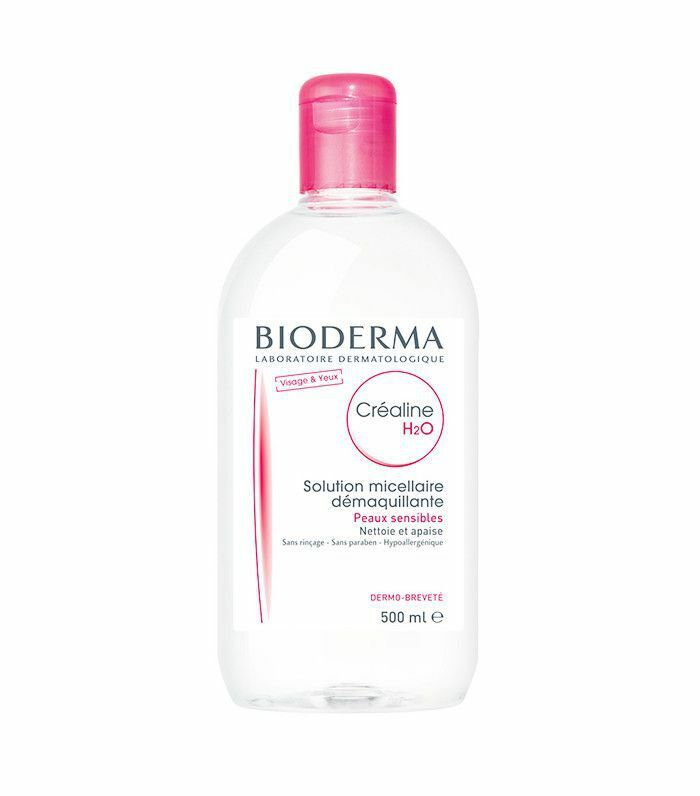 The cult status of this Bioderma product in particular explains a lot. It works with the laissez-faire mentality French women have in regard to beauty and the bare but dewy complexion each one sports on a daily basis. It's super gentle, so it won't strip or irritate your skin, and it's especially helpful for those with dry or sensitive skin. I quietly slid my palm against my dehydrated cheek and scooped it up. According to makeup artist Carissa Ferreri, the appeal here is all about the finish. 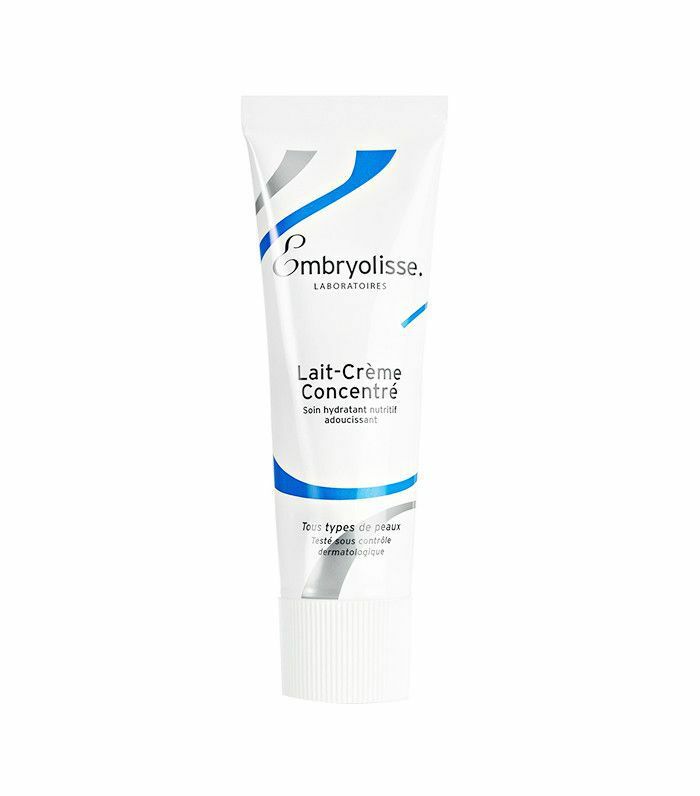 "There's something extremely special about the Embryolisse finish," she says. "It moisturizes the face while emphasizing a beautiful glow, but it never looks greasy." She continues, "I especially like to use it with a cotton swab to clean up any eye makeup residue under the eye for a clean canvas prior to foundation and concealer." This one had me at "glow" (or "lueur" now that I'm pretending to be French). I carried my new loot up to the register and practically gasped when the woman rung me up. It was just 38 American dollars for three tried-and-true hero products. I had to stop myself from skipping out of the store on my way to pick up a baguette and some cheese for dinner. I told you I was really going for it. After dinner, I met up with some friends and spent the night dancing, sipping cocktails, and butchering the French language. When I got home, the sun was out and the boulangeries were beginning to open. I picked up another croissant and walked home. When I arrived, I opened each of my new products and excitedly splashed, cleansed, and smoothed them on my skin. I fell asleep with dreams of milky, smooth skin come morning. Low and behold, my skin looked incredible when I woke up. Sure, I was a tad puffy from my night out and lack of sleep, but I promise, my skin was glowing and supple like never before. Maybe there really was something to do this French-girl beauty regimen. I used the micellar water again with a cotton pad and tapped on more moisturizer to pep up my skin for the day. Still, there were more items on my list, so I had a full day of scavenging to do. I rifled through my clothes in search of another Paris-worthy outfit and went on my way. 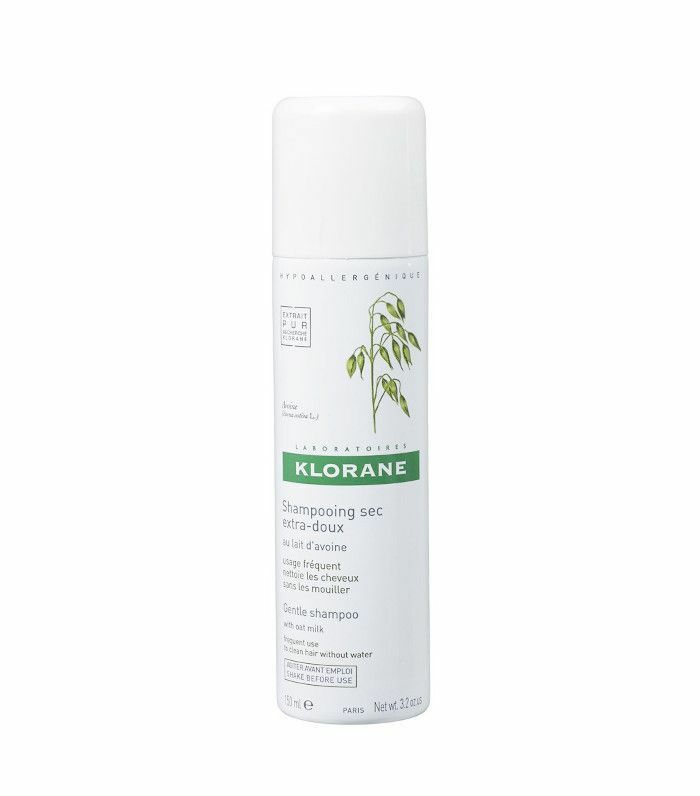 Though Parisians aren't huge fans of dry shampoo, Klorane is the exception, thankfully, because my hair was in need of a spritz. It's formulated with oat milk to soothe and protect, as well as corn and rice starches to absorb excess oils at your roots. Plus, it gives the best volume, and as a girl with fine hair, I'll take all the lift I can get. 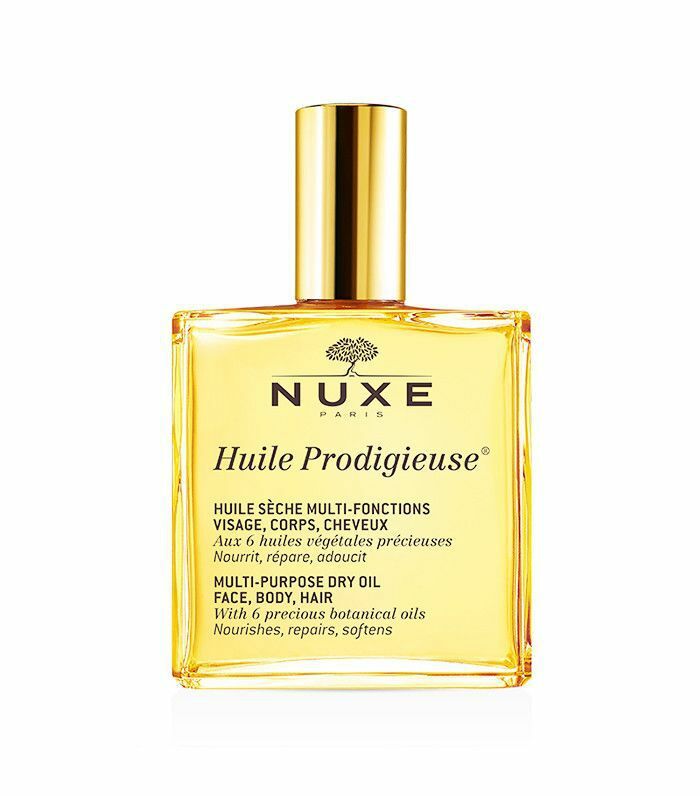 Because Louise Follain likes to apply Nuxe Huile Prodigieuse ($29) on the ends of her hair, it was the last must-have product I needed to find. Once it was safely in my possession, I ran a dime-size amount through my hair and rubbed the rest on my skin for a subtle sheen. After all was said and done, my skin looked great, felt soft, and my hair was on its best behavior. On the seventh day of my trip, the last full day I had in Paris before my flight, I woke up to decidedly fewer fine lines around my eyes. I had been using the Lait Crème Concentré ($16) in lieu of eye cream, and it erased my first (and very pesky) wrinkle. I couldn't believe it. I metaphorically bowed down to the French pharmacies on my way to the airport and took every single last product home with me. My takeaway? French beauty is real, lovely readers. Looking for more French beauty secrets? Peep which foundation French girls hate (that you love).